289 FIA steel pulleys. HTP papers are now often withheld if cars presented have aluminium pulleys. It is not safe in our opinion to use pressed steel pulleys without risk to damage to your car or risk of injury. 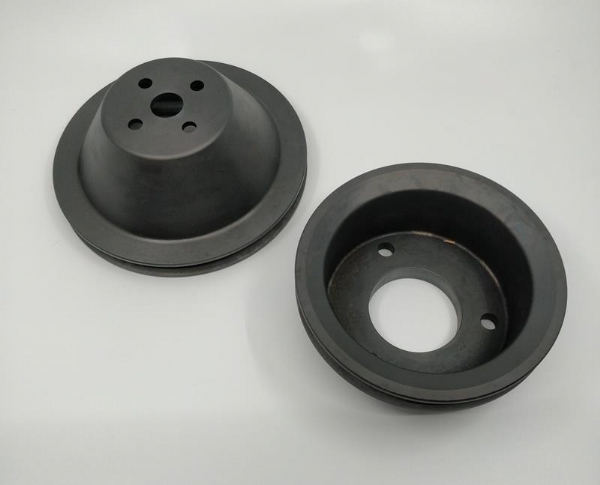 Our steel pulleys are made from solid to offer a safe racing alternative. Application: 289 Cobra / Mustang / Falcon Price: £400.00 + vat / set for Pre-65 3 bolt damper applications.